Amplification of NMR and MRI signals for biomedical research. Christopher Parish and Lloyd Lumata*, Influence of 13C nuclear spin density on NMR signal enhancement and relaxation of hyperpolarized [1-13C] pyruvic acid, Physics in Medicine and Biology (2019). 36. Peter Niedbalski, Christopher Parish, Andhika Kiswandhi, Zoltan Kovacs, and Lloyd Lumata*, "Influence of 13C isotopic labeling location on dynamic nuclear polarization of acetate" Journal of Physical Chemistry A 121, 3227-3233 (2017). Arthi Kozhumam, Lloyd Lumata, and Andhika Kiswandhi*, "Contrast-enhanced magnetic resonance imaging at earth's magnetic field using trace Gd3+ and Ho3+ salts" Journal of Emerging Investigators (2017) (http://creativecommons.org/licenses/by-nc-nd/3.0/). 34. Peter Niedbalski, Christopher Parish, Andhika Kiswandhi, Leila Fidelino, Chalermchai Khemtong, Zahra Hayati, Likai Song, Andre Martins, A. Dean Sherry, and Lloyd Lumata*, "Influence of Dy3+ and Tb3+-doping on 13C dynamic nuclear polarization" Journal of Chemical Physics 146, 014303 (2017). 33. Andhika Kiswandhi, Peter Niedbalski, Christopher Parish, Pavanjeet Kaur, Andre Martins, Leila Fidelino, Chalermchai Khemtong, Likai Song, A. Dean Sherry, and Lloyd Lumata*, "Impact of Ho3+-doping on 13C dynamic nuclear polarization using trityl OX063 free radical" Physical Chemistry Chemical Physics 18, 21351-21359 (2016). 32. Peter Niedbalski, Christopher Parish, Andhika Kiswandhi and Lloyd Lumata*, "13C dynamic nuclear polarization using isotopically-enriched 4-oxo-TEMPO free radicals" Magnetic Resonance in Chemistry 54, 962-967 (2016). 31. Andhika Kiswandhi, Bimala Lama, Peter Niedbalski, Mudrekh Goderya, Joanna Long and Lloyd Lumata*, "The effect of glassing solvent deuteration and Gd3+ doping on 13C DNP at 5 T ", RSC Advances 6, 38855-38860 (2016). 30. Lloyd Lumata*, Chendong Yang, Mukundan Ragavan, Nicholas Carpenter, Ralph J. DeBerardinis*and Matthew E. Merritt*, "Hyperpolarized 13C magnetic resonance and its use in metabolic assessment of cultured cells and perfused tissues", Methods in Enzymology 561, 73-106 (2015). 29. Weina Jiang, Lloyd Lumata, Wei Chen, Shanrong Zhang, Zoltan Kovacs, Craig R. Malloy, A. Dean Sherry and Chalermchai Khemtong, "Hyperpolarized 15N-pyridine derivatives as pH-Sensitive MRI Agents," Scientific Reports 5, 9104 (2015). 28. Chendong Yang, Bookyung Ko, Christopher Hensley, Lei Jiang, Ajla Wasti, Lloyd Lumata, Matthew Mitsche, Matthew Merritt and Ralph J. DeBerardinis, "Glutamine oxidation maintains the TCA cycle and cell survival during impaired mitochondrial pyruvate transport" Molecular Cell 56, 414-424 (2014). 27. Chalermchai Khemtong, Nicholas R. Carpenter, Lloyd L. Lumata, Matthew E. Merritt, Karlos X. Moreno, Zoltan Kovacs, Craig R. Malloy, and A. Dean Sherry, "Hyperpolarized 13C NMR detects rapid drug-induced changes in cardiac metabolism", Magnetic Resonance in Medicine 74, 312-319 (2015). 26. Lloyd L. Lumata, Richard Martin, Ashish K. Jindal, Zoltan Kovacs, Mark S. Conradi and Matthew E. Merritt, "Development and performance of a 129 GHz dynamic nuclear polarizer in an ultra-wide bore superconducting magnet", Magnetic Resonance Materials in Physics, Biology and Medicine 98, 195-205 (2015). 25. A.A. Gapud, A.P. Weber, J.A. Alexander, L. Pham, A. Khan, R.I. Leatherbury, A.P. Reyes, Lloyd L. Lumata, P.L. Kuhns, E.J. Valente and R.E. 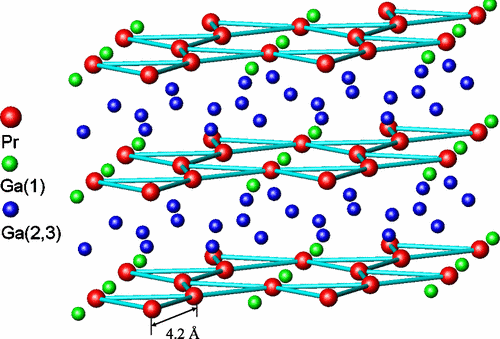 Sykora , "New quasi-one-dimensional tetracyanidoplatinate, Cs4[Pt(CN)4](CF3SO3)2: synthesis, structure, and physical characterization", Journal of Physics and Chemistry of Solids 75, 447-452 (2014). 24. S. James Ratnakar, Todd C. Soesbe, Lloyd Lumata, Quyen Do, Subha Viswanathan, Chien-Yuan Lin, A. Dean Sherry and Zoltan Kovacs, "Modulation of CEST images in vivo by T1 relaxation: a new approach in the design of responsive PARACEST agents", Journal of the American Chemical Society 135, 14904–14907 (2013). 23. Lloyd Lumata, Zoltan Kovacs, A. Dean Sherry, Craig Malloy, Stephen Hill, Johan van Tol, Lu Yu, Likai Song, and Matthew Merritt, "Electron spin resonance studies of trityl OX063 at optimal concentration for DNP", Physical Chemistry Chemical Physics 15, 9800-9807 (2013). 22. Lloyd Lumata, Matthew E. Merritt, and Zoltan Kovacs, "Influence of deuteration in the glassing matrix on 13C dynamic nuclear polarization", Physical Chemistry Chemical Physics 15, 7032-7035 (2013). 21. Lloyd L. Lumata, Matthew E. Merritt, Craig R. Malloy, A. Dean Sherry, Johan van Tol, Likai Song, and Zoltan Kovacs, "Dissolution DNP-NMR spectroscopy using galvinoxyl as a polarizing agent", Journal of Magnetic Resonance 227, 14-19 (2013). 20. 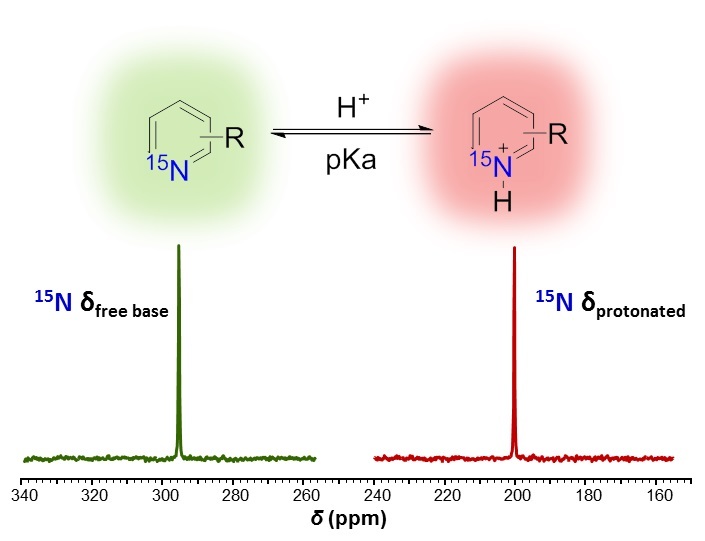 Lloyd Lumata, Matthew Merritt, Chalermchai Khemtong, S. James Ratnakar, Johan van Tol, Lu Yu, Likai Song, and Zoltan Kovacs, "The efficiency of DPPH as a polarising agent for DNP-NMR spectroscopy", RSC Advances 2, 12812-12817 (2012). 19. 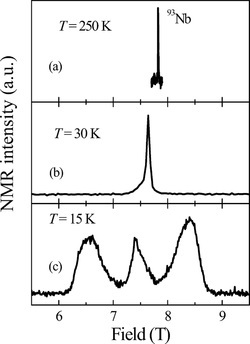 Elizabeth L. Green, Lloyd L. Lumata, James S. Brooks, Philip Kuhns, Arneil Reyes, Stuart E. Brown, and Manuel Almeida, "1H and 195Pt NMR study of the parallel two-chain compound (Per)2[Pt(mnt)2]", Crystals 2, 1116-1135 (2012). 18. Lloyd Lumata, Matthew E. Merritt, Craig R. Malloy, A. Dean Sherry, and Zoltan Kovacs, "Impact of Gd3+ on DNP of [1-13C]Pyruvate Doped with Trityl OX063, BDPA, or 4-oxo-TEMPO", Journal of Physical Chemistry A 116, 5129-5138 (2012). 17. Lloyd Lumata, Matthew E. Merritt, Craig Malloy, A. Dean Sherry, and Zoltan Kovacs, "Fast Dissolution Dynamic Nuclear Polarization NMR of 13C-enriched 89Y-DOTA Complex: Experimental and Theoretical Considerations", Applied Magnetic Resonance 43, 69-79 (2012). 16. Lloyd Lumata, Matthew E. Merritt, Zohreh Hashami, S. James Ratnakar, and Zoltan Kovacs, "Production and NMR Characterization of Hyperpolarized 107,109Ag Complexes", Feature Article: Angewandte Chemie International Edition 51, 525-527 (2012). Note: This article was chosen as a “hot” paper by the editors of Angewandte Chemie and featured on the Cover of the journal. 15. E. L. Green, J. S. Brooks, P. L. Kuhns, A. P. Reyes, L. L. Lumata, M. Almeida, R. T. Henriques, J. 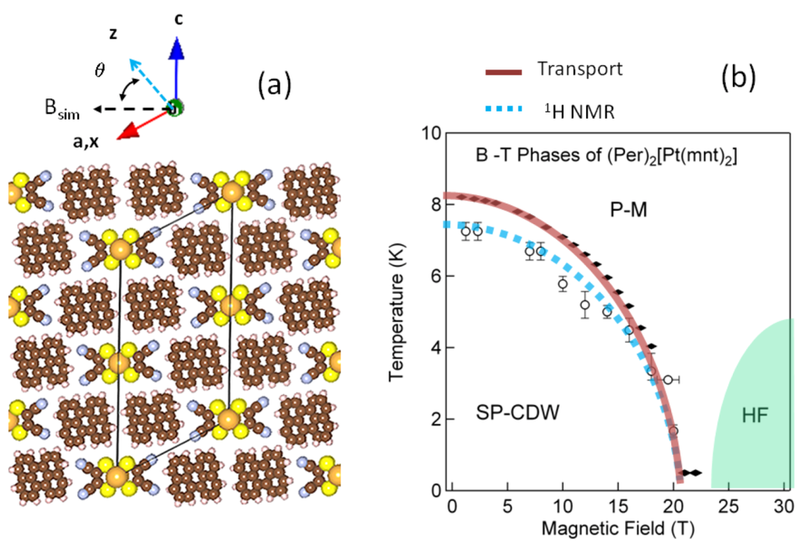 A. Wright, and S. E. Brown, "Interaction of magnetic field-dependent Peierls and spin-Peierls ground states in (Per)2Pt[mnt]2", Physical Review B (Rapid Communications) 84, 121101 (2011). 14. Lloyd Lumata, S. James Ratnakar, Ashish Jindal, Matthew Merritt, Arnaud Comment, Craig Malloy, A. Dean Sherry, and Zoltan Kovacs, "BDPA: An Efficient Polarizing Agent for Fast Dissolution Dynamic Nuclear Polarization NMR Spectroscopy", Chemistry--A European Journal 17, 10825-10827 (2011). 13. Lloyd Lumata, Ashish Jindal, Matthew Merritt, Craig Malloy, A. Dean Sherry, and Zoltan Kovacs, "DNP by Thermal Mixing Under Optimized Conditions Yields >60,000-fold enhancement of 89Y NMR Signal", Journal of the American Chemical Society 133, 8673-8680 (2011). 12. Lloyd Lumata, Zoltan Kovacs, Craig Malloy, A. Dean Sherry, and Matthew Merritt, "The effect of 13C enrichment in the glassing matrix on dynamic nuclear polarization of [1-13C]pyruvate", Physics in Medicine and Biology 56, N85-N92 (2011). 11. H. D. Zhou, E. S. Choi, Y.-J. Jo, L. Balicas, J. Lu, L. L. Lumata, R. R. Urbano, P. L. Kuhns, A. P. Reyes, J. S. Brooks, R. Stillwell, S. W. Tozer, C. R. Wiebe, J. Whalen, and T. Siegrist, "Metamagnetic transition in Bi4Cu3V2O14 single crystal", Physical Review B 82, 054435 (2010). 10. 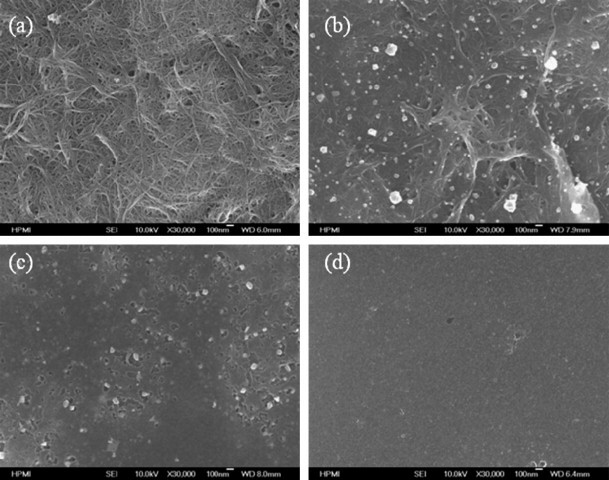 Jin Gyu Park, Nam Gyun Yun, Young Bin Park, Richard Liang, Lloyd Lumata, James S. Brooks, Chuck Zhang and Ben Wang, "Single-walled carbon nanotube buckypaper and mesopitch carbon/carbon composites", Carbon 48, 4276-4282 (2010). 9. L. L. Lumata, T. Besara, P. L. Kuhns, A. P. Reyes, H. D. Zhou, C. R. Wiebe, L. Balicas, Y. J. Jo, J. S. Brooks, Y. Takano, M. J. Case, Y. Qiu, J. R. D. Copley, J. S. Gardner, K.-Y. Choi, N. S. Dalal, and M. J. R. Hoch, "Low-temperature spin dynamics in the kagome system Pr3Ga5SiO14", Physical Review B 81, 224416 (2010). 8. L. L. Lumata, K.-Y. 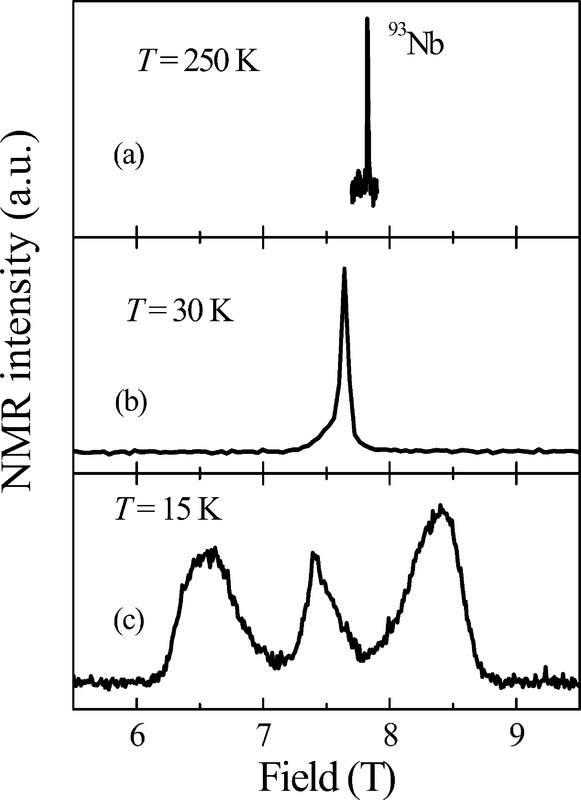 Choi, J. S. Brooks, P. L. Kuhns, A. P. Reyes, T. Wu, and X. H. Chen, "77Se and 63Cu NMR studies of the electronic correlations in CuxTiSe2 (x=0.05, 0.07)", Journal of Physics: Condensed Matter 22, 295601 (2010). 7. A. A. Gapud, R. P. Khadka, S. Moraes, P. C. Canfield, V. G. Kogan, A. P. Reyes, L. L. Lumata, D. K. Christen, and J. R. Thomson, "Flux quanta driven by high-density currents in low impurity V3Si and LuNi2B2C: free flux flow and flux core size effect", Physical Review B 80, 134524 (2009). 6. H. D. Zhou, C. R. Wiebe, Y.-J. Jo, L. Balicas, R. R. Urbano, L. L. Lumata, J. S. Brooks, P. L. Kuhns, A. P. Reyes, Y. Qiu, R. D. Copley, and J. S. Gardner, "Chemical pressure-induced spin freezing phase transition in kagome Pr-Langasites", Physical Review Letters 102, 067203 (2009). 5. H. D. Zhou, L. L. Lumata, P. L. Kuhns, A. P. Reyes, E. S. Choi, J. Lu, Y.-J. Jo, L. Balicas, J. S. Brooks, and C. R. Wiebe, "Ba3NbFe3Si2O14: a new multiferroic with a 2D triangular Fe3+ motif", Chemistry of Materials 21, 156-159 (2009). 4. L. L. Lumata, J. S. Brooks, P. L. Kuhns, A. P. Reyes, H. B. Cui, S. E. Brown, R. C. Haddon, and J.-I. Yamada, "Angular and temperature-dependent 77Se NMR in the metallic, SDW, and field-induced spin density wave phases of (TMTSF)2X (X=ClO4, PF6)", Journal of Physics: Conference Series 132, 012014 (2008). 3. L. L. Lumata, J. S. Brooks, P. L. Kuhns, A. P. Reyes, S. E. Brown, H. B. Cui, and R. C. Haddon, "77Se NMR investigation of the field-induced spin density wave transitions in (TMTSF)2ClO4", Physical Review B (Rapid Communications) 78, 020407 (2008). 2. H. D. Zhou, E. S. Choi, J. A. Souza, J. Lu, Y. Xin, L. L. Lumata, B. S. Conner, L. Balicas, J. S. Brooks, J. J. Neumeier, and C. R. Wiebe, "Magnetic-polaron-driven magnetoresistance in the pyrochlore Lu2V2O7", Physical Review B (Rapid Communications) 77, 020411 (2008). 1. Keesu Jeon, Lloyd Lumata, Takahisa Tokumoto, Eden Steven, James Brooks, and Rufina Alamo, "Low electrical conductivity threshold and crystalline morphology of single-walled carbon nanotubes-high density polyethylene nanocomposites characterized by SEM, Raman spectroscopy, and AFM", Polymer 48, 4751-4764 (2007).